Namely, it will be broken. Because there is only one level of headings. 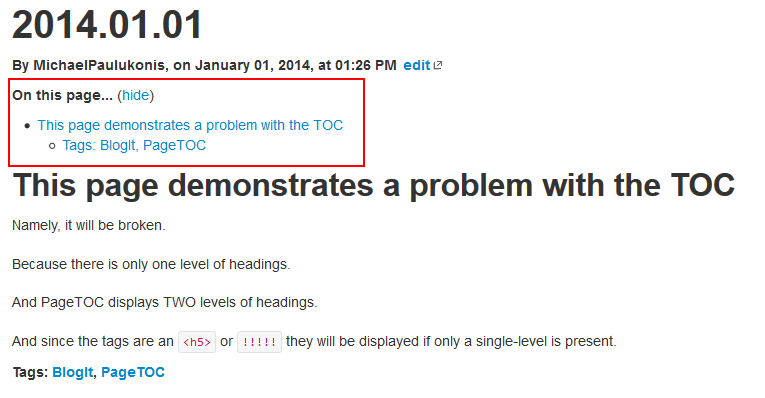 And PageTOC displays TWO levels of headings. And since the tags are an <h5> or !!!!! they will be displayed if only a single-level is present.